Today, it’s probably going to be brief. Between work, packing, and drafting, there’s still a lot to be done! That and there’s not a lot of news right now, and I won’t have time to write this on Thursday. Me and Colton will be at HRX2018 from Wed-Mon and there will be lots to talk about through the week I’m sure! So it’s final thoughts and speculation time! Also, credit to the NRGxObey picture to the @SmitePro Twitter. Well, guys, Hirez Expo Time is upon us, and I for one cannot wait! It’s just about my favorite time of the year! It’s time to watch some insane Smite, Paladins, and now HOTG action live! Just think, last year was just SMITE, with the Paladins Invitational. This will be the very first Paladins Worlds and the Hand of the Gods Founders Invitational. The HOTG scene should thank its lucky stars that I haven’t had the time to really get down with my deck building! Maybe next year I’ll really buckle down because I do love a good strategy card game. In particular, I love HOTG and have a few decks that I really need to adjust and tune up with the recent changes. Well, I’ve already done my predictions for SMITE, and I stand by them 100%. So today, let’s talk about Paladins Worlds and some deck thoughts in Hand of the Gods. And Hell, let’s talk in very brief about potential SMITE announcements! IT'S A SLUGFEST! A SLUGFEST! OH! - Oklahoma, WCW, 1999. Okay, I don’t have the inside scoop, but it would mean a great deal to me if Cerberus were not announced on Thursday. Why? Because I enjoy seeing the Dataminers be wrong! Just let stuff be a surprise for once, goodness! I do wonder if he is though if he will have a triple Fenrir ult. Because that would be totally balanced, yeah? A few people have said there will be a new faction being announced as well (which we’d probably get said new god a patch or two in) but I highly doubt that. There are several factions that need more love: Japan, Mayans, Celtic, Hindu … yeah, let’s fill these up a bit before we add something more. Though I’ve mentioned it before, a Sumerian or another Asian Pantheon (Korean, Indonesian) would be aces in my book. But it’s going to be a huge year, with a new Conquest Map that everyone’s going to have to learn and adjust to, which is incredibly exciting. Finally, a map for Conquest that people won’t yell about it being unfairly balanced towards one half or another. Well, I say that, but you know someone will have a gripe. The only real complaint I’ve heard thus far is how close to main base Speed Buff is. Here’s what I’d like to see though: Ranked Duel/Arena. Arena more, if I’m honest. There’s a real serious meta and scene for Duel, and to see a legit ranked ladder for it, that would be terrific. I probably still wouldn’t do it, until I could fine tune my tanky ways for the 1v1 scene. Though I play more Arena, and I would love to see the absolute insanity that would be born of a tryhard Arena scene. You know it would create some of the jankiest, most ridiculous team comps, and only the strong would survive. I doubt this will be the case, but come on, I can dream can’t I? 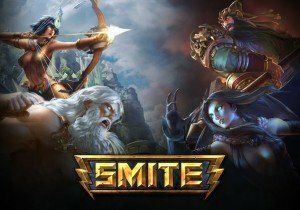 From what I understand, the beta of SMITE had Ranked Arena, and I think after five seasons, it’s time for it to return. The first Paladins Worlds Bracket! I have not kept up with as much of the Paladins Scene as I’d like to have. When I had to choose between watching one or the other, I focused on Smite, but it in no way changes that I love Paladins more (probably because I’m better at it). But the matches I did settle in to see were incredible. The Paladins scene is far more varied than the SMITE one, if I can be honest. We have Kanga Esports in the second set of matches, alongside G2, China Dream, and Virtus.Pro. They don’t have to sweat dealing with all of the first round nonsense, and get to relax, and wait. But which of these teams do I think is going to be the standout? If I’m being honest, I think the match of the tournament is going to be NiP (Ninjas in Pajamas) vs. Kanga Esports. Sorry Renegades, I’m forseeing a 3-0 stomp by NiP, one of the most outstanding teams in Paladins. But Kanga Esports, they’re another team I’m really seeing great things for. That one is going to be a slugfest, and in no way will be a sweep. No matter how much I love NiP, I’m seeing Kanga going all the way to the finals. But who will they meet there? The second set of brackets is loaded as well! Fnatic, an org I’ve followed all the way from League of Legends, SpaceStation Gaming, G2, Natus Vincere (an org I followed in the DOTA2 scene), and Entity. I feel kind of bad for the Chinese teams though, it seems the passport woes just don’t end. But China Dream is not a team to be trifled with. No matter how strong Fnatic or Natus are, I’m seeing a Kanga vs. China Dream, if the new squad has had enough time to gel that is. If not, Kanga vs. Natus in the Finals. This of course is all speculation. I’m a little less confident of my picks since I’ve missed a fair amount of the matches that led us up to this point, unlike Smite where I watched piles upon piles of matches. But I am glad to see such a vast global presence for Paladins this year. Who is gonna win? It’s anyone’s guess! As an aside, calling Elevate to win the Console Wars for Paladins. It’s goin’ down. Damn you, Discordia! Stop tempting me away from Mayan/Hindu! Another fun, chaotic update is coming to HOTG in the form of OB.37: Chaos in Rome! #ThanksAdanas No seriously, I love this one. I was hurt by the Hindu Passive change, even if I agreed with it. But there’s a new spell coming that will give us Hindu Mains a whole new way to play: Insight. It’s a 3 cost Epic that replaces the Leader Ability with “Discover a card in your deck”. So you get two draws a turn for two mana, less if you have a card in play that lowers the cost of your Ability by 2. And since Hindu is a very strong control deck, any extra draw will no doubt make their strategies much easier to play. But this is not my favorite card in the set. It actually goes to the Romans. Discordia is here, a Ranged Unit (3/3) for 4 mana. That’s already a pretty good deal, but when she comes into play, she swaps your hand with your opponents. So rush your hand all the way down, and keep a careful eye on the enemy hand. One of the things I love about this, is if your opponent thinks you have a Discordia coming, they might waste spells and units, putting them into dangerous positions so you can’t have them. Four factions gain new spells, each one pretty fantastic. Mana Burst for the Chinese allows you to deal damage equal to your opponents unused Mana. And it’s a 1 drop!? I sincerely think it ought to cost a little more than this. This is one you hold in your hand all game until your opponent stops casting spells. Then you hit ’em for 9 and win the game out of nowhere. The least impressive (but still fun) is Transmute Dead from the Mayans. It’s a 2 drop though, and you discard a card to play a 4/4 Crazed Zombie. This can be a 6/6 or better with the right spells coming, and as long as it doesn’t move 1 space a turn, it will a blast. Which decks do you think we’ll see in the Founder’s Tournament? In my estimation, some of the strongest right now are Hindu (still), Mayan, Norse, Greek. Sure, every pantheon has an incredible deck concept, but I’m basing this off the things I see the most/have the most difficulty dealing with. The Greek deck is still insanely easy to play and win with. Even with Kraken moving to an actual card, and Poseidon getting a new ability (Warcry: Return all enemy units on his row to their own’s hand. Add a random god to your hand for each returned). That’s arguably a much stronger ability anyway. I’d have listed Egypt, but with the Celestial Armor cost going from 3 to 8 (Thank. God. ), I’m a little less worried about them. Though it’s still a strong card, and you can still make 4/4 clones of a unit every turn, thanks to Ra being able to target a nice wide area, but at 8, it’s not going to be dropped turn 2 and make someone simply weep. We’re probably going to see at least one match where Apollo shows up turn one or two, and immediately starts getting buffed to stomp someone out. I’m very curious to see how the Founder’s Tournament goes, since I haven’t watched a lot of the professional HOTG scene unfortunately. That’s definitely on my to-do list for 2018, to learn more about the scene and the meta. I have played card games way longer than MOBAs and Shooters, so it’s up to me to learn more. Maybe we can get Adanas back on a stream to talk cards. Tencent Games and Capcom have teamed up to bring some new, exciting content to PUBG Mobile, themed around Resident Evil 2.